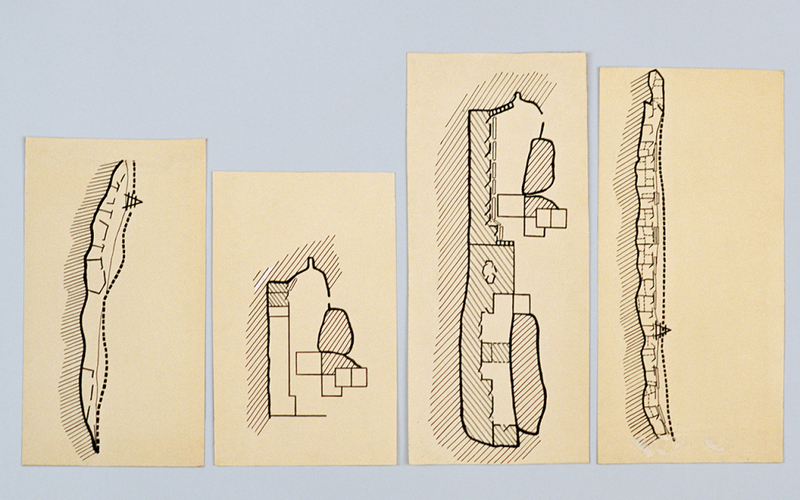 Yto Barrada (Paris, 1971) is a Franco-Moroccan artist whose work is heavily influenced by narratives of history and identities, especially that of Morocco, in its relationship with the colonial and post-colonial past, a geography where the South and East converge in their relationship with the West. The artist presents a set of works at the Project Space, some which have never been seen before, that explore and pursue her interest in the unique and ‘tragic’ historic figure of the French ethnologist Thérèse Rivière (Paris, 1901-1970). Between 1935 and 1936, Rivière went to Algeria to study the Chaoui Berber ethnicity, in the Aurès region of the country. 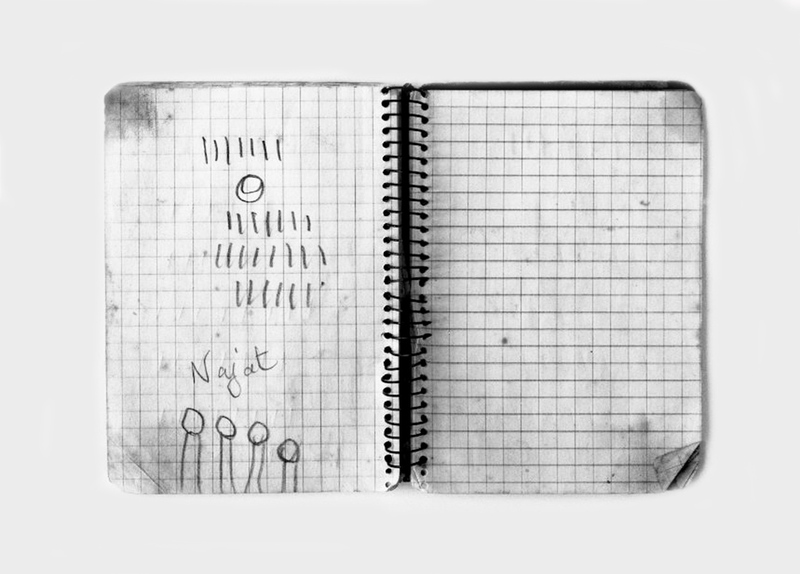 The notebooks, drawings and photographs produced by the ethnologist, together with the materials and objects she collected, which focused on the everyday lives of women and children, were forgotten, ‘erased’. These are the ‘silenced’ narratives and objects that Yto Barrada rescues – that she consumes and regurgitates –, in a gesture of identification and resistance against the dispossession of words (of language), either those of the colonised subject or ones based on gender inequality, as seen in Objets indociles (above). 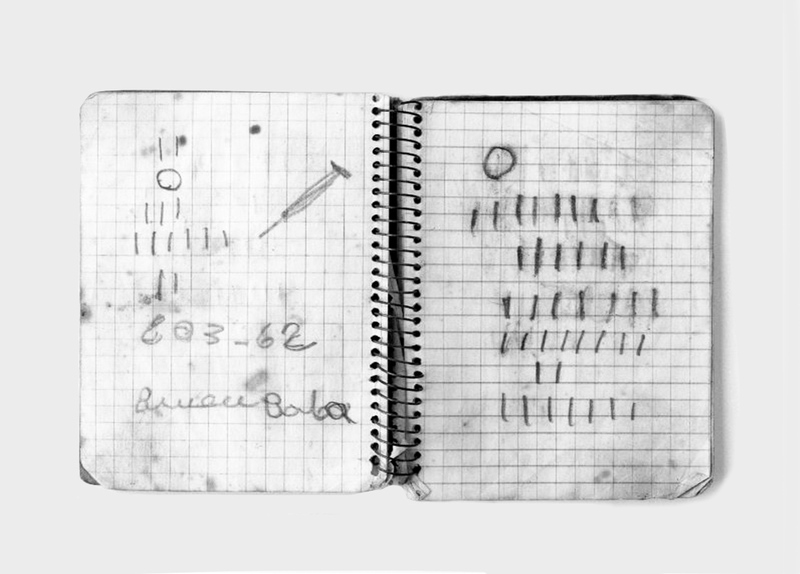 Into this fabric of history, Yto Barrada weaves family narratives, those of her own family, in a constant to and fro between history and individual memories, like in the photographs and notebooks of her grandmother (Telephone Books, below) who, unschooled, created a language composed of graphic symbols to identify and record her family contacts. 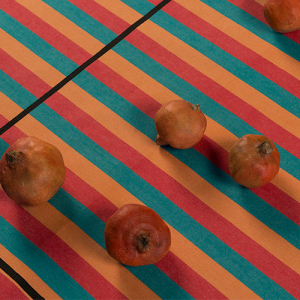 Yto Barrada lives and works in New York. She was cofounder of the Cinémathèque de Tanger. Since 2003, she has exhibited regularly in museums and international institutions such as the Walker Art Center (Minneapolis), the Barbican Centre (London), Witte de With (Rotterdam), Fundaciò Tàpies (Barcelona), Jeu de Paume and Centre Georges Pompidou (Paris), Haus der Kunst (Munich), MoMA (San Francisco and New York), and the Venice Biennale (2007 and 2011). Following the discovery of a mysterious object from the Roman period, Francisco Tropa proposes a dialogue between past and present, contemporary sculpture and archaeology.